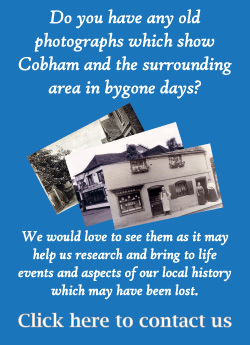 When you become a member of the Cobham Conservation and Heritage Trust you not only receive the Cobham Heritage newsletter four times a year, you also have the opportunity to take advantage of special offers offered by selected local businesses. Just produce your current membership card to take advantage of these offers. 2 for 1 entry on production of your CCHT Membership Card, Jan to Dec 2018 excluding special events and subject to Painshill Park's standard terms & conditions. 2 for 1 entry on production of your CCHT Membership Card. Offer available on Wednesday, Thursday and Friday - Jan to Dec 2018 excluding special events and subject to the Watts Gallery standard terms & conditions. 10% discount in the restaurant at the Cobham Carluccio's on production of your Cobham Heritage membership card. This does not include the delicatessen.